For over 40 years Countryside Veterinary Service, P.C. 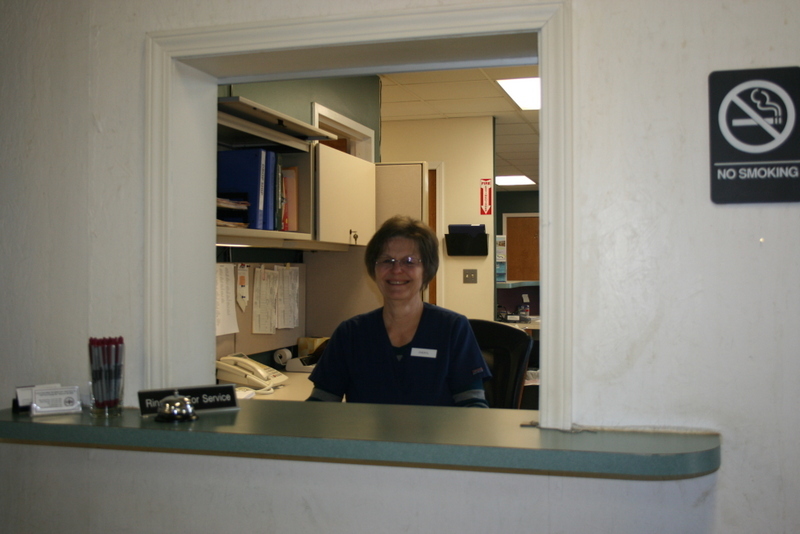 of Cement City, MI has been the chosen veterinary clinic of many pet owners in the area. When you want to give your cat or dog the caring and compassionate treatment they deserve, call us. We offer routine spay and neuter services along with most routine soft tissue surgeries such as lump removal, bladder stone removal, caesarean section and laceration repair. We offer up-to-date pain management, anesthesia and monitoring equipment. Routine dental cleanings and minor extractions are done under up-to-date anesthesia protocols. Dental cleaning includes checking for pockets around teeth, removal of tartar on the teeth and just under the gums, and a fluoride polish to help decrease plaque attachment in the future. As pets age their vaccine and labwork needs vary. We will discuss vaccine needs based on your pets age and lifestyle as well as recommend specific lab testing. Most labwork is run in-house and results are often available during your appointment time. We know each pet is unique and special in their own way. We will discuss vaccines, labwork and medications based on your pet's lifestyle and routine. In-house digital x-rays are available during appointments and on an emergency basis. OFA certification x-rays can be taken here and mailed in for results. Heartworm is a blood parasite carried and spread by mosquitoes. Heartworms can cause fatal heart and lung disease unless diagnosed and treated early. Annual blood testing for heartworm is highly recommended and is done in 10 minutes in-house while you wait. Heartworm preventive is available once your pet tests negative. Because each pet is unique, we will choose a vaccination protocol designed just for your pet. We will discuss both core vaccines (recommended for most pets) and non-core vaccines (recommended in specific lifestyles) and a decision will be made based on your pet's lifestyle. Non-adjuvanted vaccines are used in cats to limit reactions. See our vaccine page for further information. Ultrasound is a painless method of imaging the body and can be used to diagnose a wide variety of problems including diseases of the liver, kidneys, bladder, stomach, intestines, adrenal glands, pancreas, spleen, reproductive tract, blood vessels, and heart (often referred to as "echocardiography") Ultrasound can also be used for pregnancy. Health certificates can be written for interstate and international travel as well as for puppy health checks before being sold. We recommend appointments at least 6 weeks prior to international travel. We follow current recommendations for surgical pain management. Pain medications can be prescribed in different forms for ease-of-use in your pet. We have up-to-date blood machines in-house and can run full panels of labwork on sick or emergency cases as well as panels tailored to your pets conditions. We recommend annual labwork as pets age to monitor for changes before clinical signs are noted. We carry "Bayer ResQ" microchips that can be read by all current microchip scanners. The microchip is about the size of a piece of rice and has a specific number programmed into it with your pet's information. Although this is not a GPS unit, almost all veterinary hospitals, humane societies and rescue groups have a scanner to check pets. "Bayer ResQ" microchips have a website for the owner to set up an account an add or change the information at anytime. This website also allows you to post if your pet is lost. Emails are then sent to all local veterinary clinics on their listserv to spread the word about your lost pet. We offer vaccines, dewormers, flea and tick preventative and heartworm preventatives to help protect your pet. Annual labwork can be checked at any time to verify kidney and liver health or catch diseases before they progress too far. Prevention is better than treatment! General services for FARM_ANIMALS include herd health and reproduction services, health certificates for farm animals traveling to a different state or for export, vaccinations, dentistry, diagnostic services, surgery, equine Chiropractic, equine lameness, wound managment and much more.